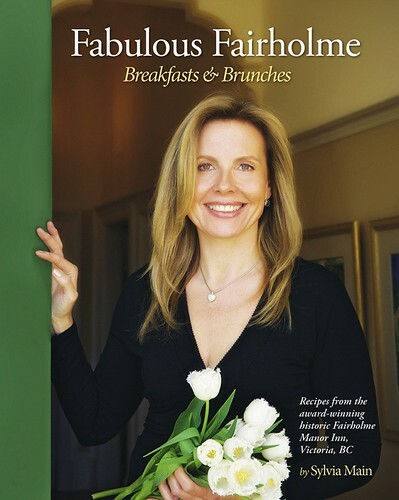 That's my friend Sylvia Main on the cover of Fabulous Fairholme: Breakfasts & Brunches. She's the owner and innkeeper of Fairholme Manor in Victoria, BC and wrote this cookbook. That's why she's on the cover, and I'm not! I did edit the cookbook, which is a collection of tasty recipes for breakfasts and brunches, accompanied by fabulous photos. A lot of people asked me if editing the cookbook meant I had to make all the recipes. Nope. I merely played with the words to make sure it all made sense. I also wrote the copy for the jacket and the foreword to the book that begins, "As a travel writer, I sleep around a lot." It was a fun gig, and I'm happy to have played a part in it. You can order the book from Fairholme Manor's website, or if you're in western Canada, it's available in many kitchen shops and bookstores.